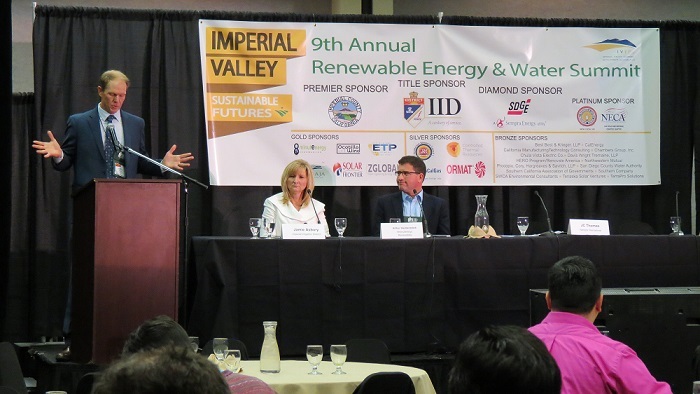 The 9th annual Imperial Valley Renewable Energy Summit brought together a slate of speakers who highlighted the renewable energy development potential throughout the region. The Summit provided a dynamic forum for over 250 attendees, including clean energy visionaries, energy policy experts, public officials and investors to discuss the issues that are most relevant to the renewable energy industry as well as an overview of working internationally with Mexico. 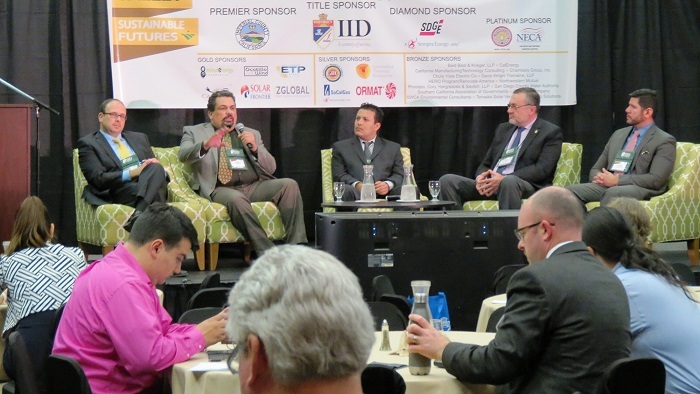 The Summit also featured a business exposition, Wednesday networking reception sponsored by San Diego Gas & Electric, and a Thursday night banquet sponsored by the Imperial Irrigation District. Plus, two tours focusing in solar, wind, and geothermal energy generating facilities, as well as the development potential at the Salton Sea. IVEDC would like to thank all the event sponsors, exhibitors, speakers, attendees, volunteers and event planning committee for helping to make the 2016 Summit a success. 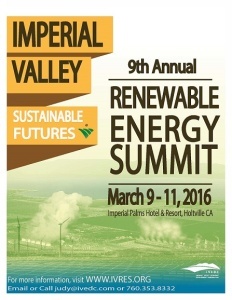 For more information, please visit www.ivres.org or contact Timothy E. Kelley at tim@ivedc.com or (760) 353-8332.